Installing a solar system is an excellent way to save money on monthly electricity costs, reduce carbon emissions in your home, and even reduce water consumption. It's important to work with a qualified solar energy contractor to ensure that your solar system is assembled correctly and worked optimally for many years. 1What are the Financial Benefits of Solar Energy? 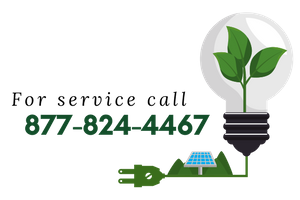 When you install a solar energy system on your property, you will save money on the current electricity bill and protect you from increasing electricity rates in the future. The amount you can save depends on the prices of utility services and solar policy in your area, but investing in solar energy is a wise investment no matter where you live. 2What are the Environmental Benefits of Solar Energy? Solar energy, like other renewable energy sources, has many benefits for the environment and health. Using solar energy reduces greenhouse gas emissions, which contribute to climate change, and also reduces pollutants such as sulfur dioxide and particles that can cause health problems. 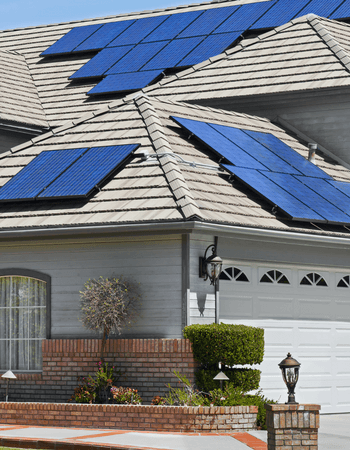 3How Solar Energy Affects My Property Values? Research has shown that households with solar energy systems sell more than homes without them. However, the value of your property will increase if you own, instead of renting, your solar panel system. In most countries, the solar system will actually increase the value of your property more than restoring the kitchen. 4How Many Years of Experience Does Your Business Have? It is important to know when a potential entrepreneur starts a business and how many solar systems have been installed to date. This will give you an idea of ​​the companies experience before you hire them for installation. In addition to learning more about the experience, it is good to look at the recommendations of previous clients about what is good and what can be improved to know exactly what to expect when hiring your contractor. 5What About Licenses And Insurance? Another important issue is whether the company and all employees are dismissed, insured or affiliated. Find out if the solar installation work will be submerged or not and, if so, to whom. The contractor must also provide all data relating to the license and insurance of the co-operator. Make sure the insurance company covers damage to your roof or your home if an accident occurs during the installation. 6What Warranties Are Available for My New Solar? Take the time to find out what types of guarantees are available from potential solar system contractors that you install. There are several varieties of warranty options available in the industry, but they are not universal for all solar systems. Understanding the warranty options before installation is important so you are not caught in an installed system that is not covered by the security you are interested in securing. 7Are There Any Solar Incentives Available For My Area? Depending on where you live, it is possible to get financial incentives to install solar energy on the roof of your home. Ask potential entrepreneurs to give you a list of tax credit, incentive checks and other financial benefits for which your home is particularly qualified.